Tourism Intelligence Scotland is committed to protecting the privacy of its website users. Any personal data or sensitive personal data provided by you to Tourism Intelligence Scotland (TIS) through your use of this website will be held and processed in accordance with the data protection principles set out in the Data Protection Act 1998 and the Directive on Privacy and Electronic Communication 2002 / 58 / EC for the purposes of meeting the legitimate interests of the TIS partners – Scottish Enterprise (SE), Highlands and Islands Enterprise (HIE), VisitScotland (VS) and the Scottish Tourism Alliance (STA) hereafter referred to as “us” or “we” or “TIS”. This policy only applies to this website. Third party websites which are linked to this website are not covered by this policy. If you have any queries concerning your personal information or any questions on our use of the information, please contact us on 0845 601 2454 or e mail info@tourism-intelligence.co.uk. For the purposes of the Data Protection Act 1998, the data controller is TIS. Registration - Some areas of this website may require you to be registered with us prior to access being made available to a particular area of the website. Our registration process involves providing us with your name, address, phone number and email address and other relevant information to your registration. Forms - The information you give us in our forms may include your name, postal address, e-mail address, phone number and your message to us. Events – Often, you will be required to enter into correspondence with us by phone, e-mail or otherwise in order to book a place at one of our events. We will require certain information about you such as contact details and billing information to process your booking. Newsletters - You can register for email newsletters on this website. This is entirely optional and you may unsubscribe at any time. Contests and surveys – Participation in contests and surveys on this website is entirely optional. Additional terms and conditions may apply to contests which will be notified to prospective applicants. A cookie is a piece of data stored on the user's computer tied to information about the user. 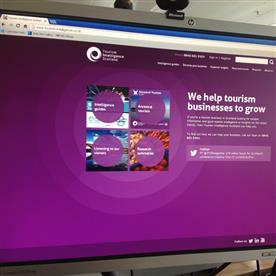 The Tourism Intelligence Scotland website uses session cookies so no personal information is stored and once the user closes their browser, the cookie is deleted automatically. Agents – TIS may share your information with advisors and tourism partners including appropriate associations and the Scottish Government. These agents may be given access to the personal information in order for them to perform their functions, but may not use it for any other purpose. This may also in certain circumstances involve the transfer of your information abroad; however, we will not transfer your information outside the European Economic Area without first ensuring that an adequate level of protection is in place.